Some £86,000 has been stolen from a church in Banagher, in County Londonderry, after a computer was accessed by a scammer. A priest was misled by a person posing as an "engineer" who rang him and claimed his broadband had been hacked. The fraudster then told him he needed to remotely access the computer to resolve the issue. Money was stolen from the parish bank account as a result. 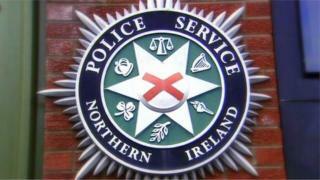 The theft was reported to the PSNI on 2 December and parishioners were told about the incident during Sunday mass. The PSNI said an investigation is ongoing in conjunction with the bank in question and Action Fraud, the UK's national fraud and cyber crime reporting centre. Fr Michael Canny, who is the media spokesperson for the Derry Diocese, said the priest in question is feeling bad about what happened. "The priest got a phone call from [a person] who he thought was a genuine company who he has had dealings with before. "The person on the other end of the phone told him that his system was being hacked and under attack and they needed access to stop the hacking," he said. "In actual fact they were the ones hacking. "The priest is feeling pretty rotten about it."